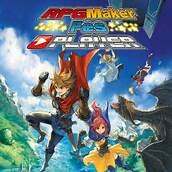 I assume if you have a Nintendo 3ds or 2ds you have downloaded the free app FES RPG Maker Player. There are dozens of free homemade rpgs to download. You make RPGs on the FES RPG Maker which is not free. If you have a 2 or 3ds go to the eshop and search for FES and look for FES RPG Maker Player. The game I made is called Mousie The God Demo. The player has a search engine just search by name. It’s (I hope) a short RPG with one town and one tower made of two floors. Talk to the folks in the tower two will join you. PLEASE give me suggestions. You may have to dowload free dlc to make the game work. If not let me know then I will change a few things and reupload. This is just the start of the game though it does end at the first boss for now. Yes the first boss’s name was inspired from here. There are dozens of free rpgs I have dabbled with a few I want to concentrate on making my own.